Click the links below to find the pages required. Bakewell's Old House Museum is well worth seeking out, it is one of the best-preserved 15th century houses in the country. 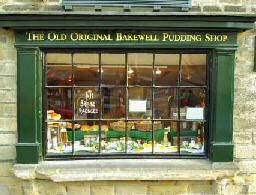 It has been restored to its former glory by the Bakewell Historical Society and is now a fascinating folk museum. 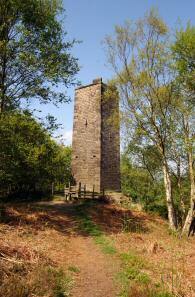 An independent profile of Derbyshire and the Peak National Park. The White Peak is an area well known for its distinctive dry stone walls, beautiful dales and picture post card villages. The section covered by this feature is stunningly attractive, with the busy market town and tourist hotspot of Bakewell at the centre. Set in an enviable location on the banks of the River Wye, in the heart of the Peak District, is the picturesque old market town of Bakewell. 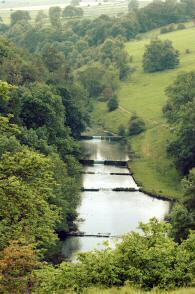 Since 1951, the administrative centre for the Peak District National Park. It was at the Rutland Arms, in about 1860, where the hotel cook misunderstood her instructions and produced the world famous Bakewell Pudding not ‘tart’, as some mistakenly call it nowadays. Instead of stirring the egg mixture into the pastry, she spread it on top of the jam, which has to this day proved to be a stroke of genius in creating name awareness for the town. Today you can sample this wonderful delicacy at the Bakewell Pudding Shop. 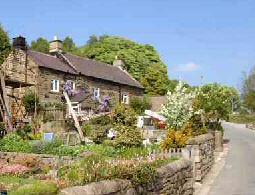 Millers Dale is a tiny hamlet, set in the heart of the Peak District, sharing its name with the dale in which it lies. It was once a major junction on the Midland Railway Line, and Millers Dale was one of the largest stations on the line. The popular trail follows a disused railway line that has been converted into a track for walkers, cyclists and horse riders. It runs for eight and a half miles from Coombs Road Viaduct, one mile southeast of Bakewell to the head of Chee Dale, about three miles east of Buxton. 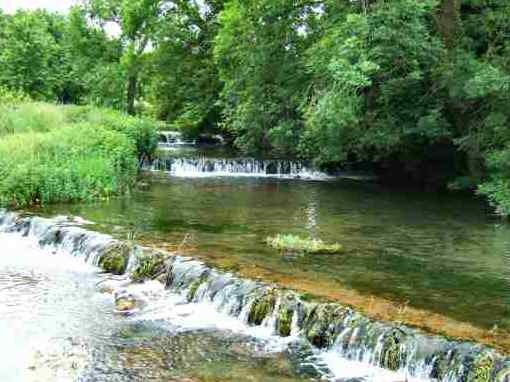 The route follows the deep limestone valley of the River Wye through breathtaking countryside. But not without diversions, to avoid tunnels, one of which occurs on the way from Great Longstone to Monsal Head, where there is a magnificent viewpoint. Perhaps the most perfect example of a medieval manor house in the country. The gardens are a delight and believed to be the most romantic in Britain, being the setting for the elopement of Dorothy Vernon and John Manners. It has been the location for several major feature films and TV dramas over the years. In recent times the hall was used as Mr Rochester's home, Thornfield, in the BBC's adaptation of Jane Eyre. Magpie Mine stands one third of a mile south of the village of Sheldon, from where it can be seen standing darkly silhouetted against the skyline. Tragically, in 1833, three Red Soil miners were suffocated to death by a fire lit by the Magpie miners. Following a year in prison and a lengthy court case at Derby Assizes, five Magpie miners were acquitted of the charge of murder owing to conflicting evidence and the lack of intent. The three widows of the Red Soil miners reputedly put a curse on the mine and supposedly a ghost was seen there in 1946. 1. Bakewell Tourist Information Centre (Tel. 01629 816558) located in the Old Market Hall, an impressive building that dates back to the 17th century. Goods produced by members of the Peak Products organisation are attractively displayed for purchase. In addition, if you want something a little different, you can send a postcard to the future as well as acting as landscape detective! 2. Aldern House (Tel. 01629 816200) became the administrative centre in 1951, when the Peak was the first of the national parks to be set up in England and Wales. From its offices, it controls an area of 542 square miles and covers Staffordshire, Cheshire, West and South Yorkshire and Greater Manchester as well as Derbyshire. Bakewell's strong connection with agriculture is emphasised every August when the town hosts the largest tented agricultural event in the UK, Bakewell Show, also one of the oldest and is often known as the 'Little Royal' . The two-day event attracts around 65,000 visitors to the showground, which is sited in a beautiful location close to the banks of the River Wye. Winster Pancake Races on Shrove Tuesday are still very popular as are the Flagg Point-to-Point Races, held the first Tuesday after Easter. Many other events are held throughout the year details of which can be obtained from Bakewell Tourist Information Centre.